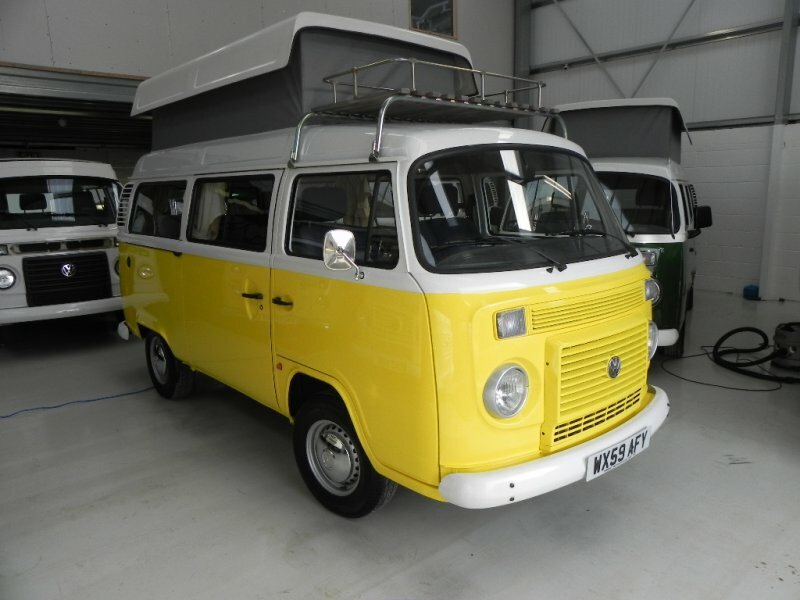 This excellent condition water-cooled Danbury rio has just come into stock, with only 5000 miles on the clock and as new condition! 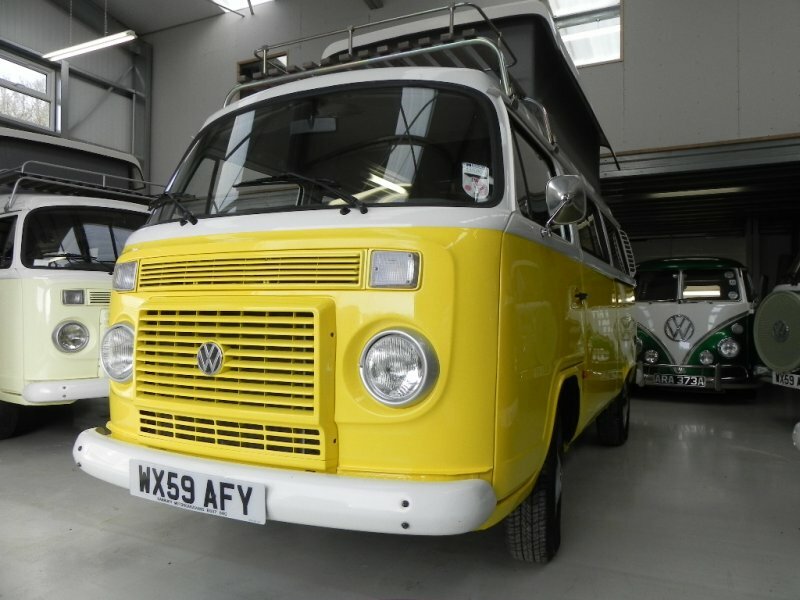 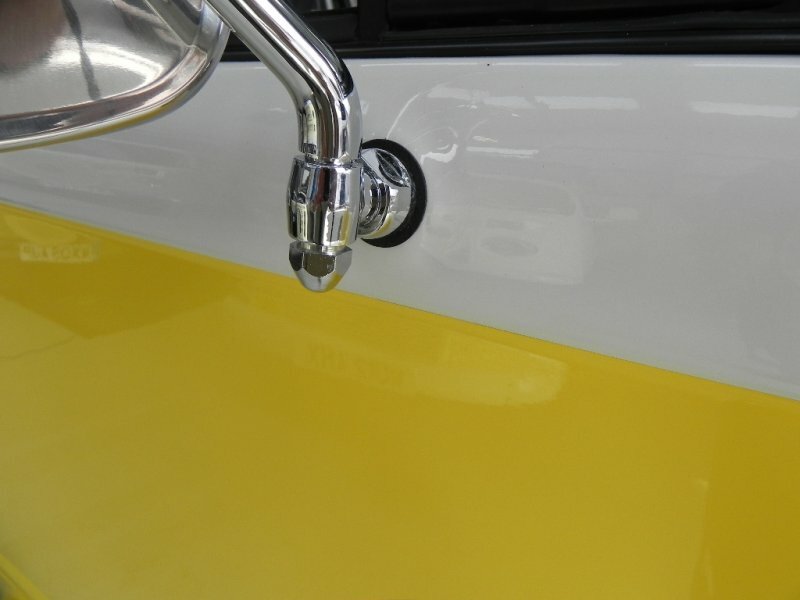 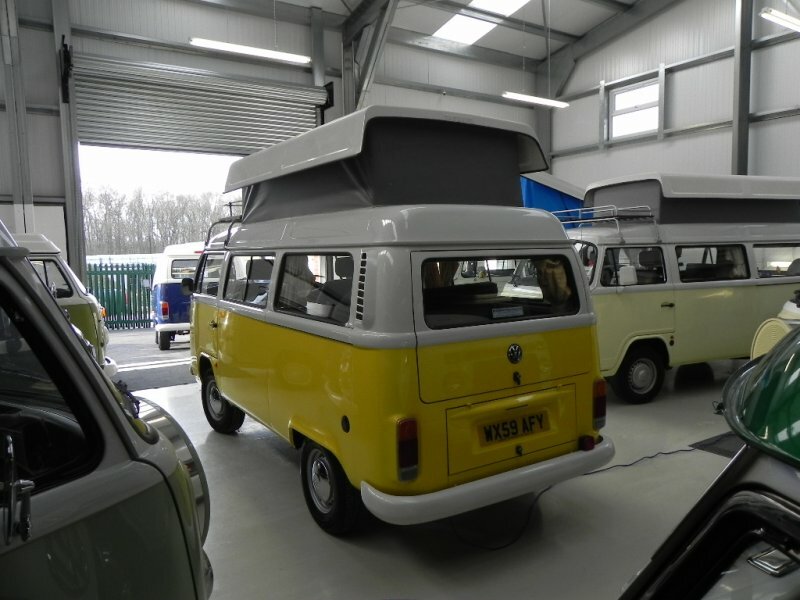 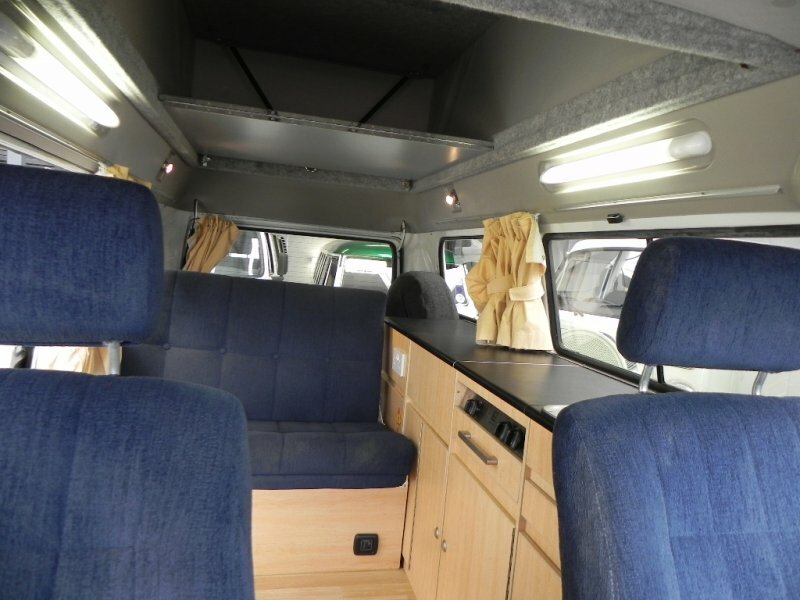 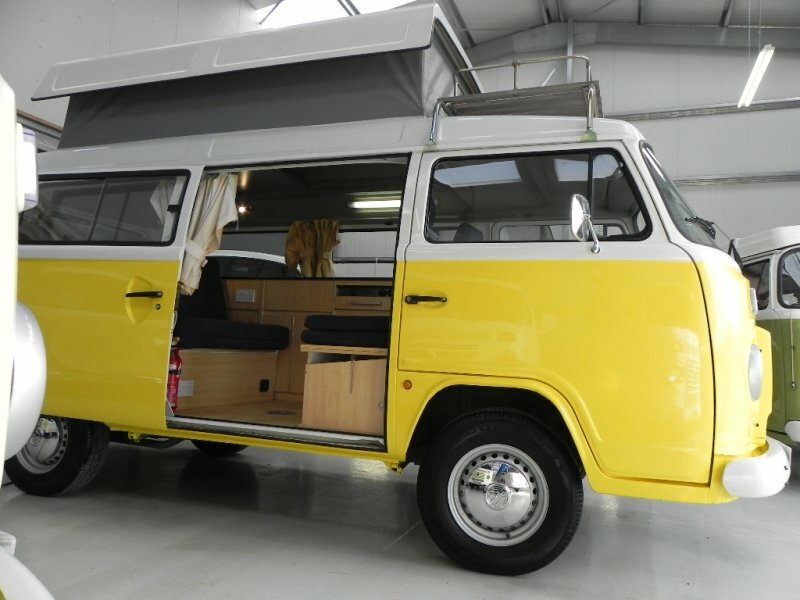 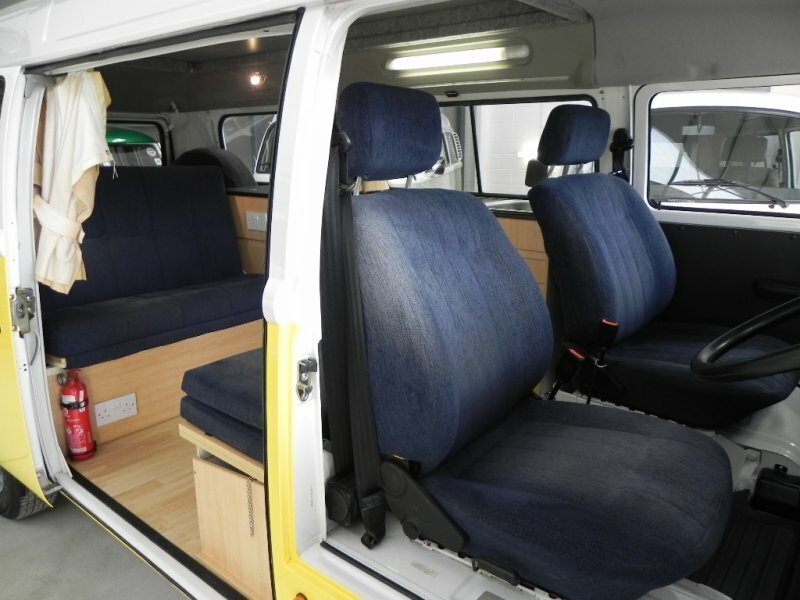 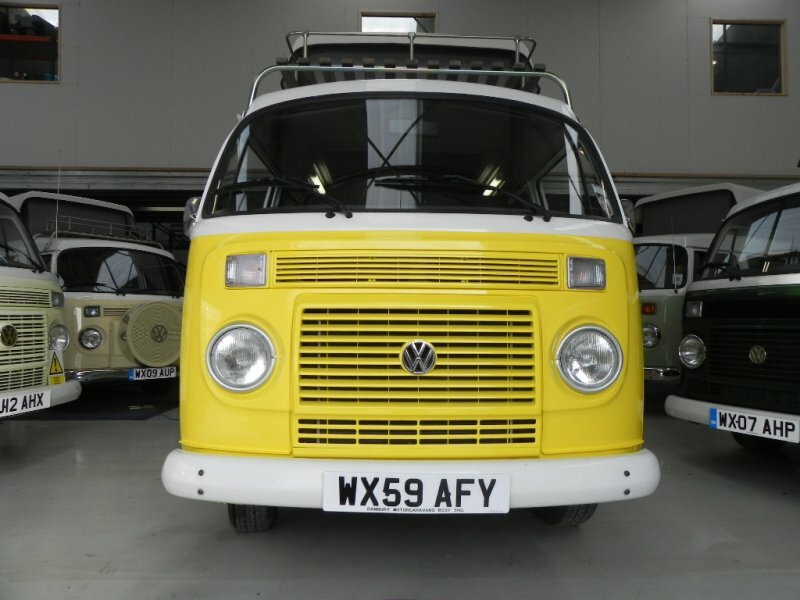 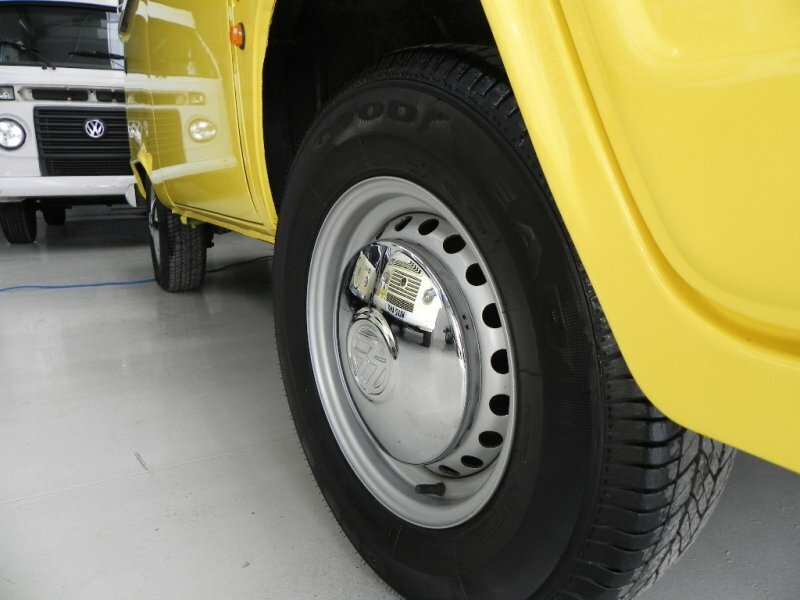 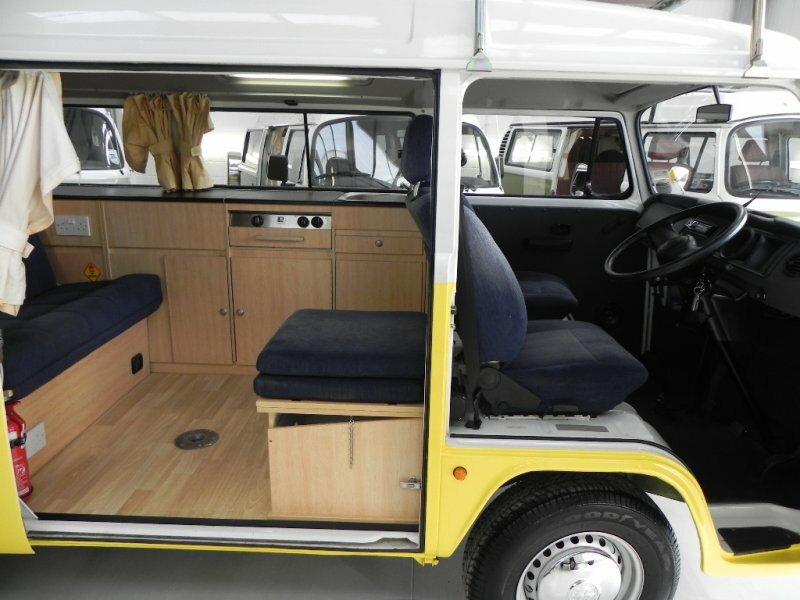 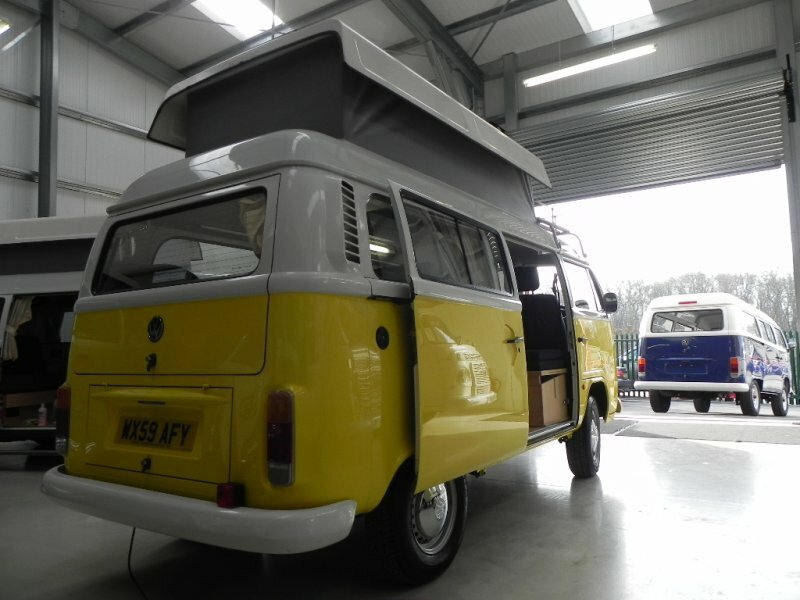 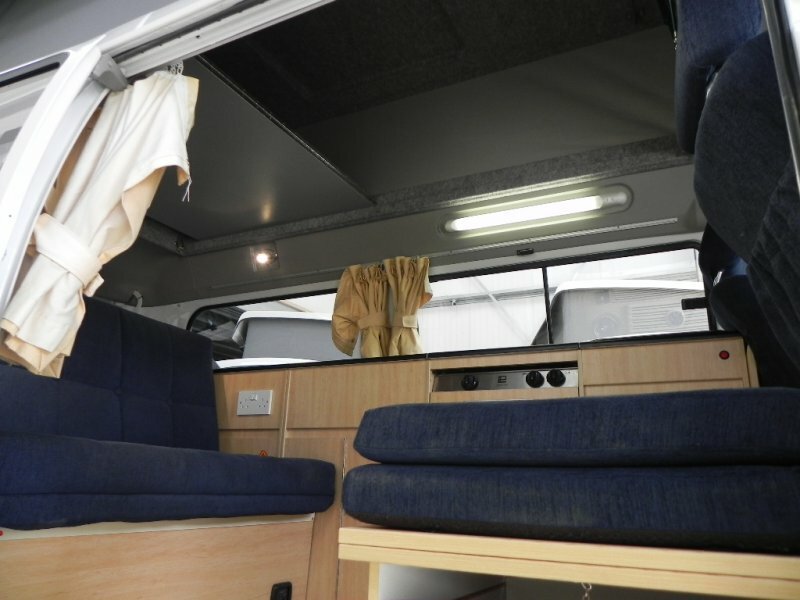 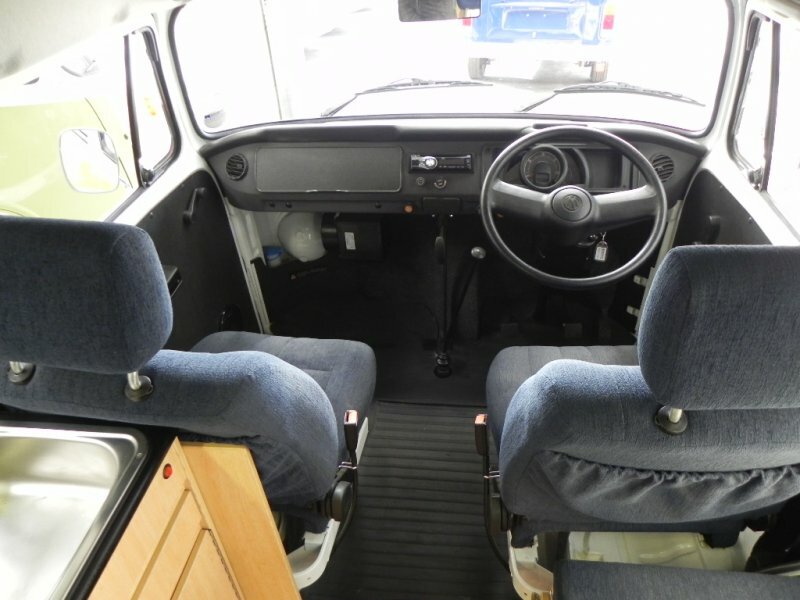 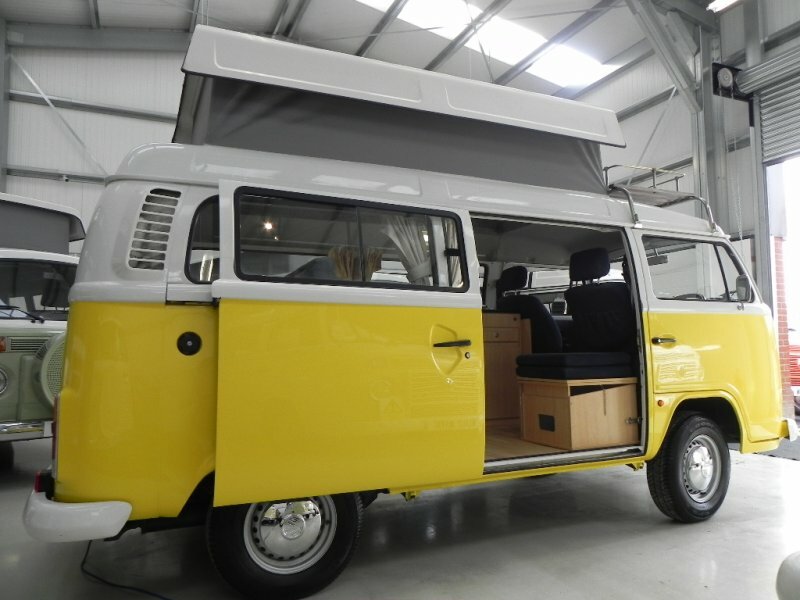 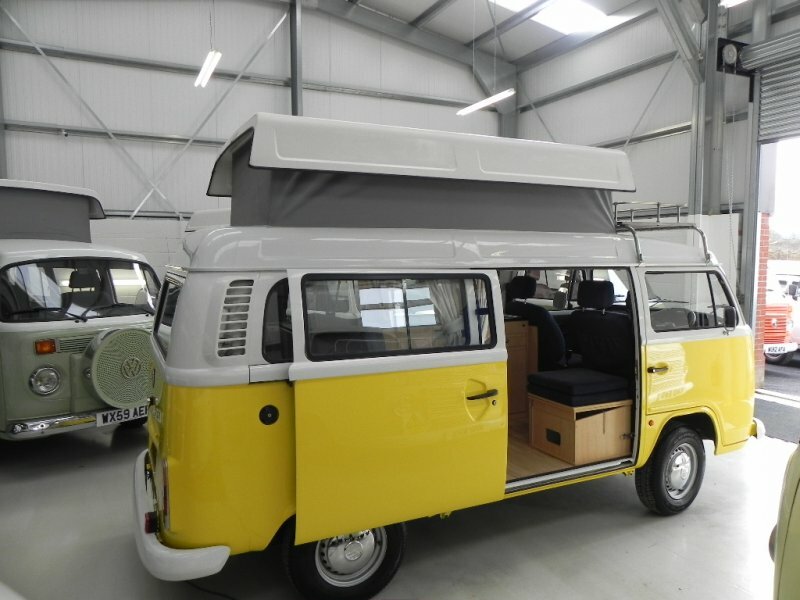 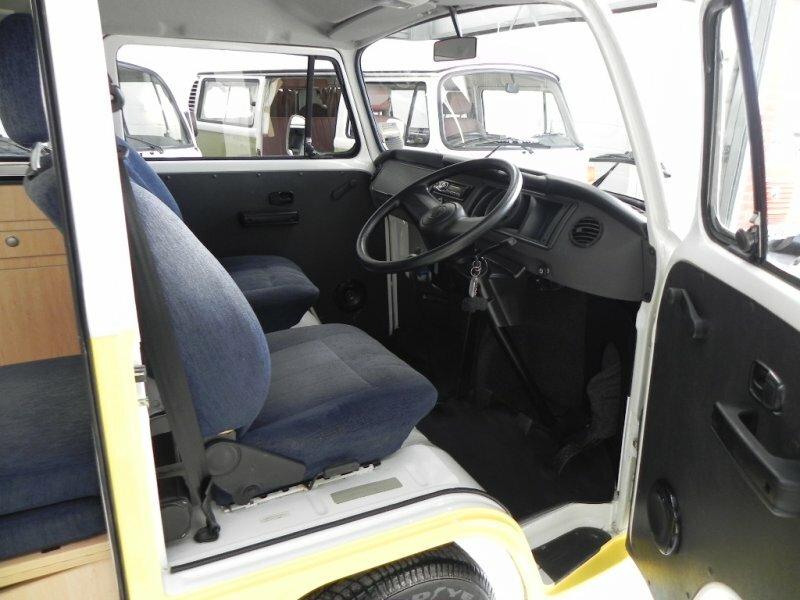 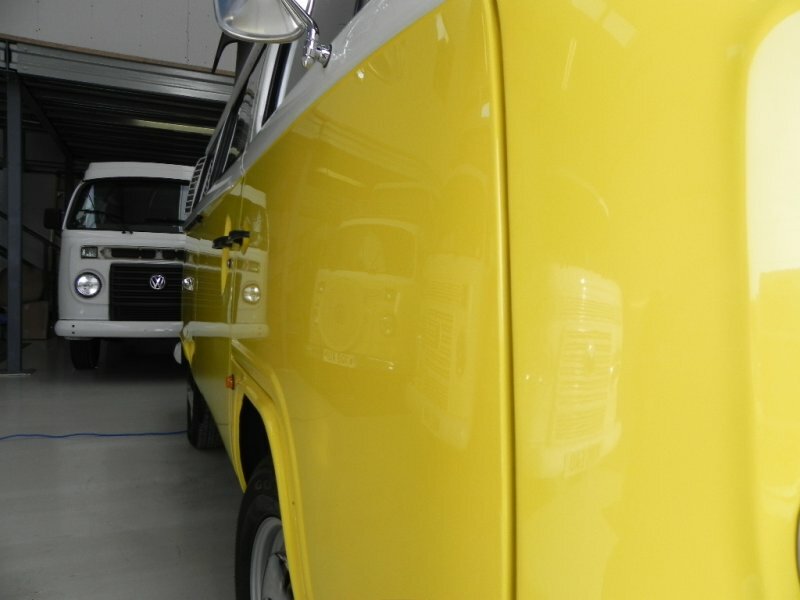 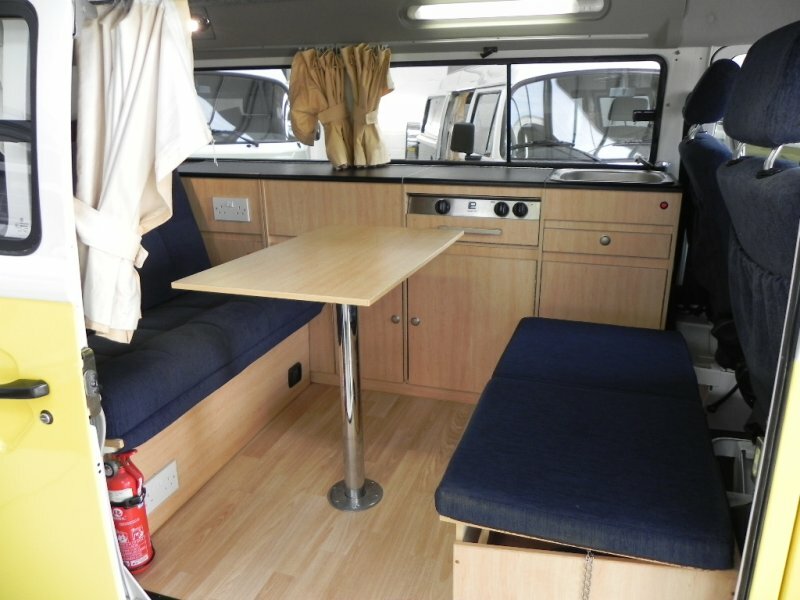 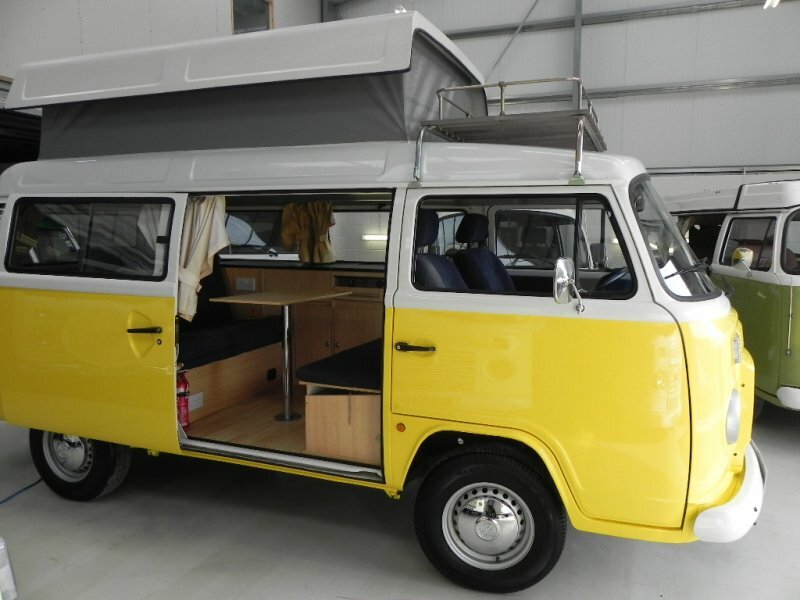 Exterior: Fresh lower half re-spray in striking yellow so body work is perfect, chrome pack , clear indicators, front room rack, pop top roof with upper bed board and mattress making it 4 berth. 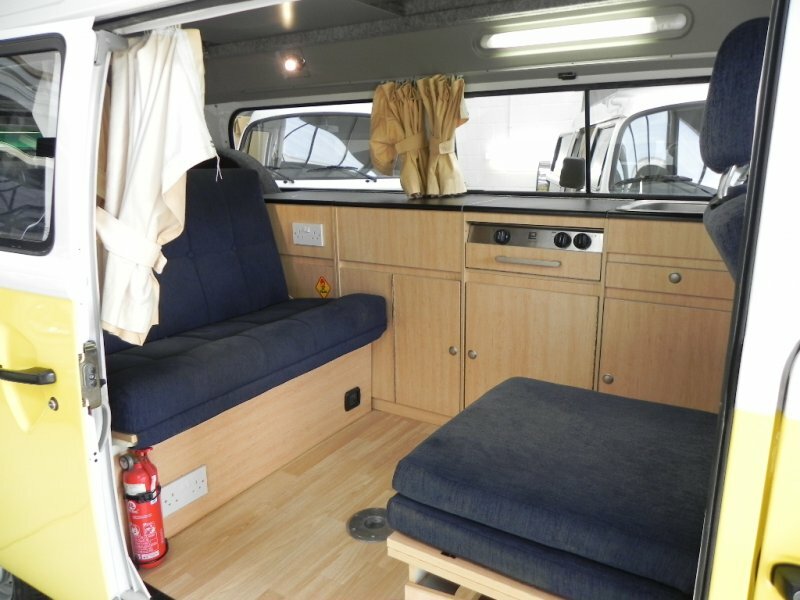 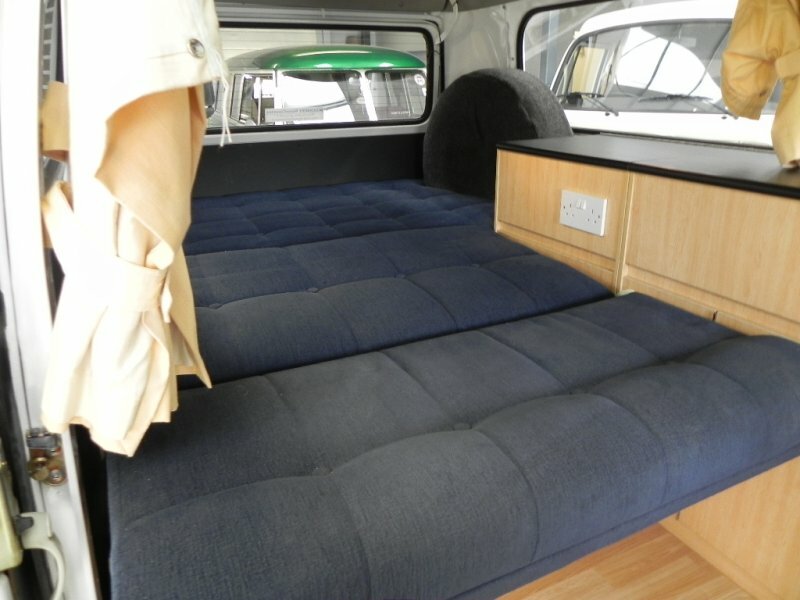 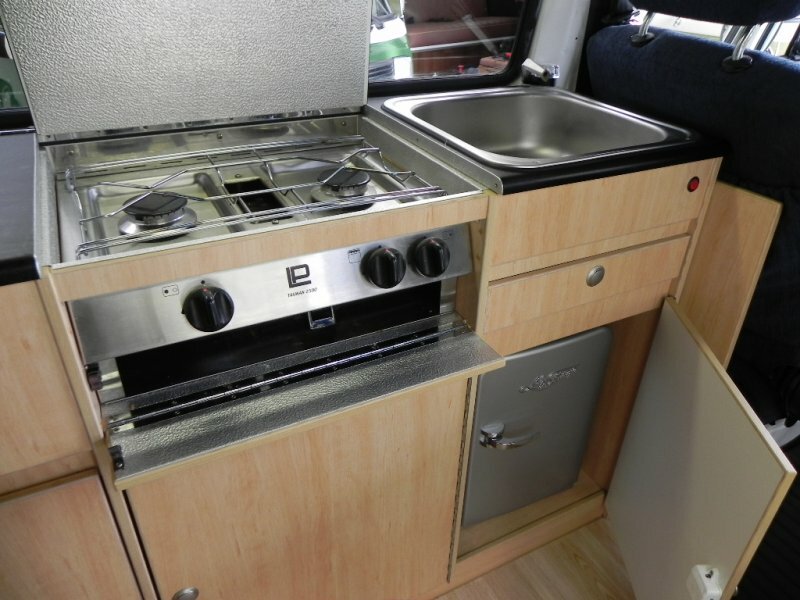 Interior: Rio lay out so full lenth units with plenty of storage, sink with pumped water, cooker and grill, cool box, 240v hook up , leisure battery with charge system, spot lights, rear strip lights, buddy seat with side section, table, front heating system, rear heated windscreen, stereo and speakers. 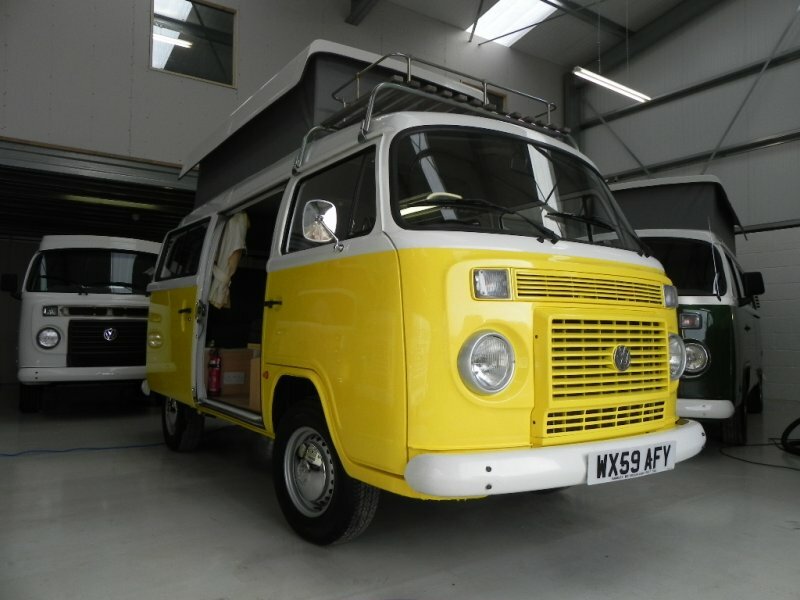 Mechanics: 1400cc water-cooled engine, wax oil (under side wax oil treatment) 1 owner from new and very low miles. 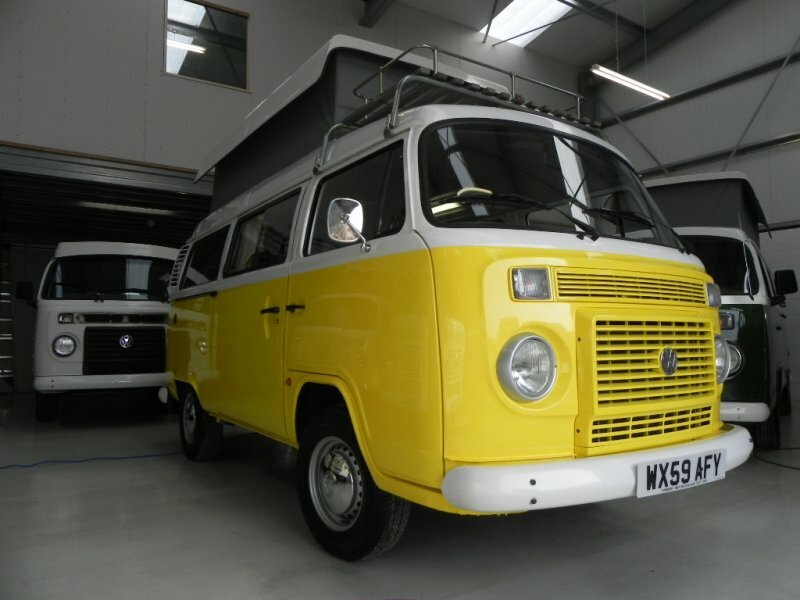 This great condition low mile example with will be sold with a 12 months MOT, full major service, full PDI , shampoo to the upholstery, full polish to the paint work and a 3 months parts and labour warranty!